Anna Ji-Eun Lee appeared most recently on Show 204, recorded in November 2009, at age 14. She also performed on Show 174, recorded in February 2008, at age 12. 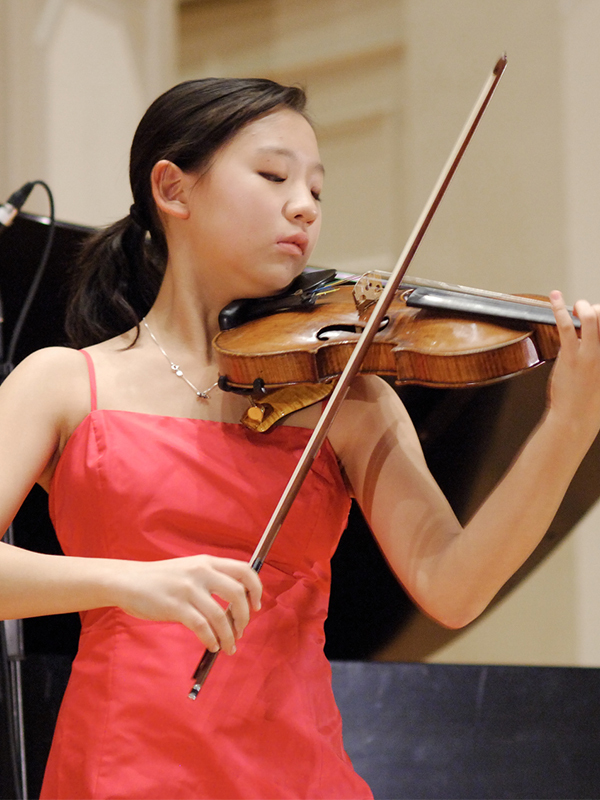 Anna Lee (violin), age 14 from Little Neck, NY is a recipient of From the Top’s $10,000 Jack Kent Cooke Young Artist Award and has appeared on both From the Top’s NPR radio show and PBS television series. Prior to appearing on From the Top, she was also a 2007 recipient of the Jack Kent Cooke Foundation’s Young Scholars Award. A ninth grader at the Dalton School in New York, Anna studies violin at the Juilliard School Pre-College Division and is a member of the Juilliard Pre-College Chamber Orchestra. She has won numerous competitions , including the American Academy of Conducting at Aspen Competition at the Aspen Music Festival and Shool, the Long Island Philharmonic Competition, the Juilliard School Pre-College Division’s concerto competition, the Blount- Slawson Young Artists Competition and first price in the New York Music Competition, which resulted in a performance as part of the Winner’s Recital at Carnegie Weill Hall. In addition to playing music, Anna enjoys dancing, biking, knitting, taking photos, writing poems, and laughing at anything and everything. JiEun is a Jack Kent Cooke Young Artist.